Curation is the future of content marketing. Finding high quality content for your audience is the best way to engage and turn them in to customers. Email marketing can be time consuming and daunting. The biggest comment I hear from Flashissue customers is “I don’t have time to do it and in any case I don’t know what to write”. Creating blog content and email marketing is a marriage made in heaven. Once you create a blog post you have something to email to your audience – like this email – and you get the benefits of traffic to your blog site when the search engines pick up your post. 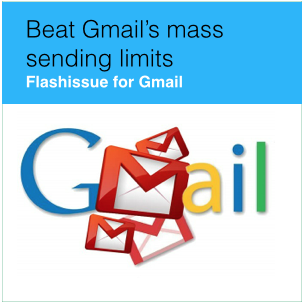 Using the Flashissue clipper you can create an email newsletter right inside Gmail in world record time – Bookmark a few web articles, add some words and you’re done. 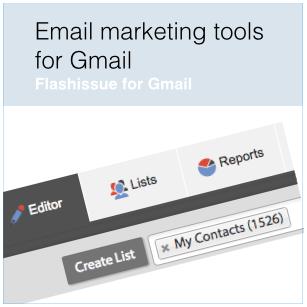 The full version of Flashissue is great for creating mailing lists from your Google Contacts; designing great looking emails and then being able to track them. That’s the products’ bread and butter. But what you may not know is that there’s a buried feature in Flashissue that will save you a ton of time and make you look great to your clients or audience. A variant is the “90–9–1 principle” (sometimes also presented as the 89:10:1 ratio), which states that in a collaborative website such as a wiki, 90% of the participants of a community only view content, 9% of the participants edit content, and 1% of the participants actively create new content. Whether you want to create an email newsletter, a blog post or you’re doing your social media thing, forget over analyzing and getting too hung up on keyword strategies, just create content that you know people will want to read. Have an opinion that is clearly yours and you can generate original content or use content curation as a way to engage the people that mean something to your business or organization. 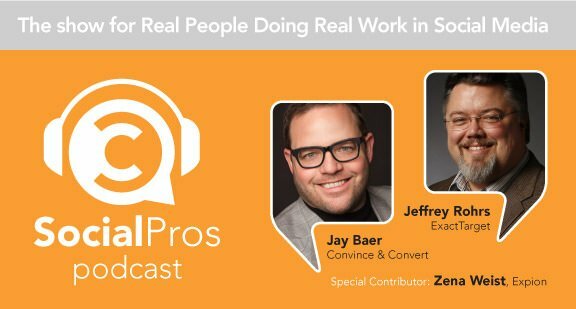 Todd Wheatland, VP of Marketing at Kelly OCG, joins the Social Pros Podcast from Content Marketing World in Sydney, Australia this week to discuss producing massive amounts of relevant content, curating your personal brand, and how to get your followers to share your content. Here’s a good example of content creation by The Huffington Post that i found when doing some content research for a client. I was searching Google for “Coolest Offices 2012” and this example popped up. Inc.com had published an article about the Coolest Office Spaces (there’s some nice designs by the way). In turn, The Huffington Post curated the article and created a post on their website own website. As I speak with franchisor and multi-unit decision makers and marketing teams. I am hearing some very common themes from some of the top franchises in the nation and even new and upcoming ones. If you are reading this and are a franchised company or multi-unit operation, you understand better than anyone the incredible challenges that your business model faces. In addition to keeping up with the competition and staying ahead of the curve, segmented marketing options are making it difficult to properly manage, sustain and protect your brand identity and marketing efforts. At Flashissue we are all about saving time and staying efficient in our day to day. I have attached an image including a huge list of tools that should expedite content to your customers, blog or employees. Some of these tools will look familiar, some are new to the game. All have a nice niche and can help many small business simplify communication and marketing. Content curation is a highly effective inbound marketing strategy and because of this, there has been a rise of content curation tools and platforms. Great tools are emerging quickly. Here is a great summation of the tools here I hope you enjoy learning about them as much as we have. Use a few to understand the benefits of curating your content. 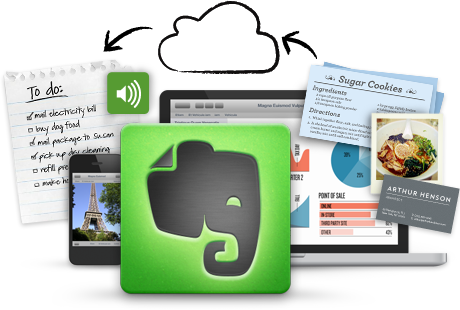 Evernote is a great product for saving all those notes and clippings of websites you want to store. If you want to create a newsletter from those Evernote clippings, you can do it but only just! Sending notes into Evernote using email works great but i wish there was a good way to do things in reverse. FlashIssue makes it easy for MailChimp subscribers to build campaigns by dragging and dropping content from RSS feeds and web pages directly into an email template. MailChimp today announced the release of its integration with FlashIssue, a content curation platform for email newsletters. This application provides organizations with a simple, repeatable process for sending content-rich, attractive email newsletters.